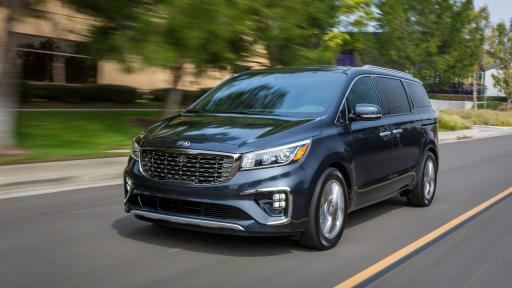 NEW YORK, March 28, 2018 – At the 2018 New York International Auto Show today, Kia Motors America (KMA) unveiled the refreshed 2019 Sedona, revealing a more refined minivan that maintains the same functional convenience with ample passenger space and cargo, albeit with more style, technology, and amenities. 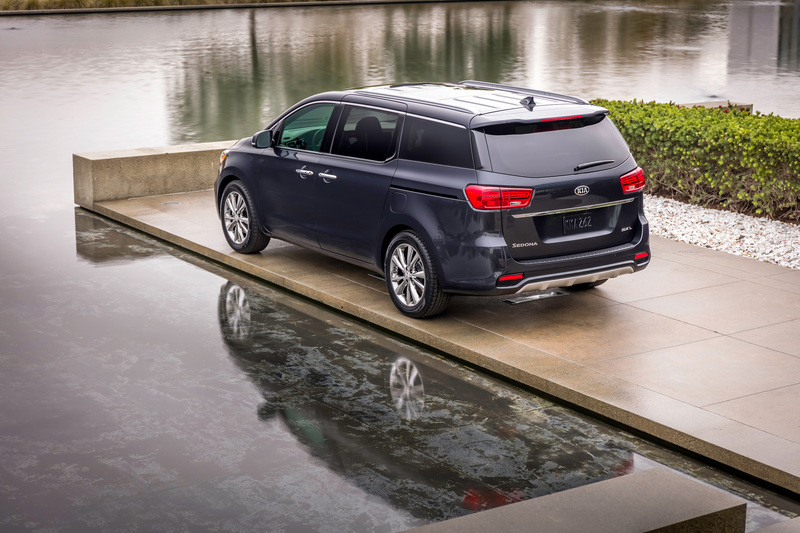 Wearing newly designed front and rear fascias, the Sedona now sports a similar design language utilized on some of the newer models in Kia’s lineup, while a new available rear-seat entertainment system along with other convenience features keep the Sedona’s tech roster up-to-date. In addition, the Sedona’s tried and true 3.3-liter V6 can now be paired with an 8-speed automatic transmission. 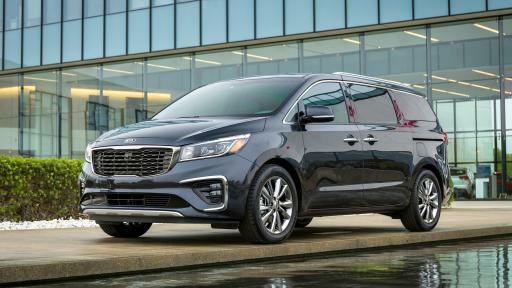 Fresh-faced 2019 Kia Sedona makes appearance at the New York International Auto Show. 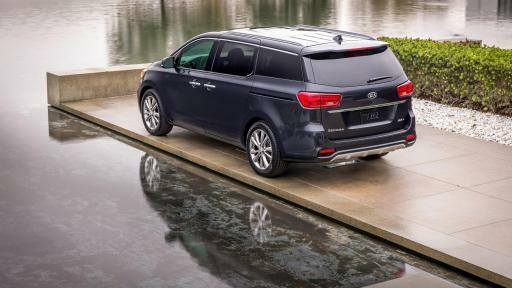 Subtle yet significant upgrades keep the refreshed 2019 Kia Sedona ahead of the minivan pack. 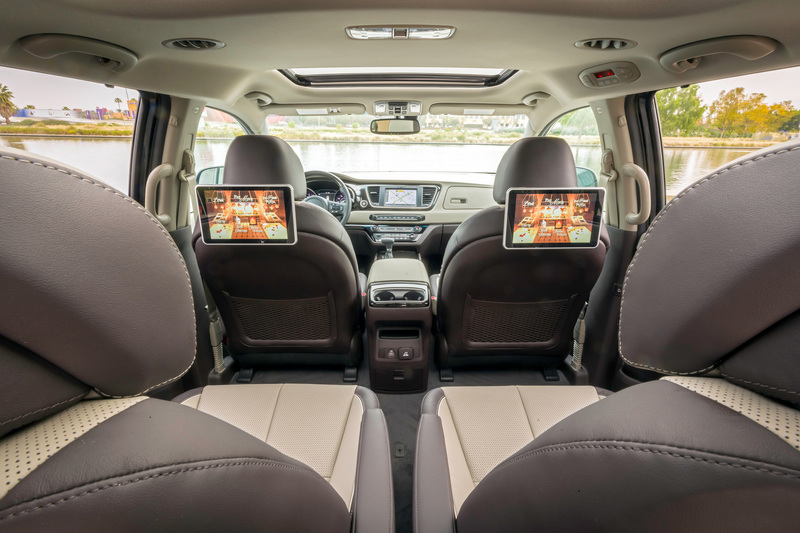 Available rear-seat entertainment system along with other convenience features keep the 2019 Kia Sedona’s tech roster up-to-date. 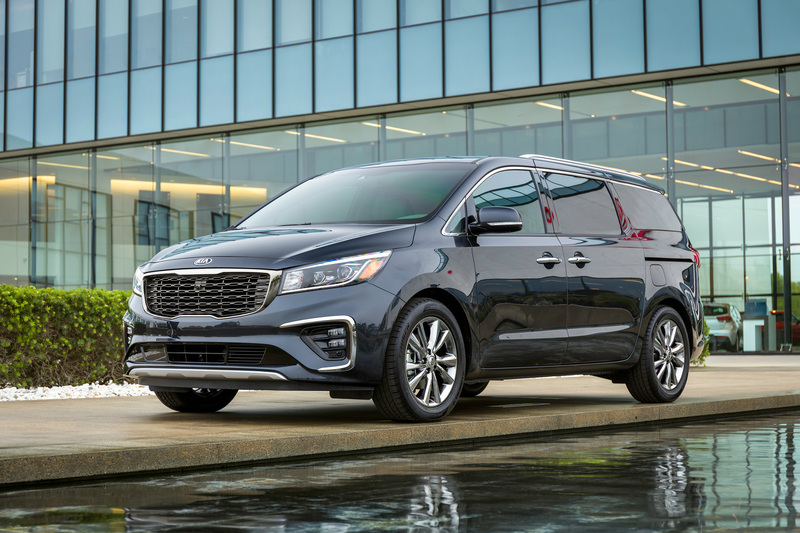 The refreshed 2019 Kia Sedona stays true to its CUV-like proportions, however, visual enhancements all around give the vehicle a bolder appearance. The Sedona is offered in five trim levels – L, LX, EX, EX Premium, SX, and SXL. Pricing will be announced closer to the vehicle’s on-sale date. Staying true to the CUV-like proportions that came as a result of Kia’s design-led transformation, the Sedona’s front fascia is defined by a more modern headlight configuration that helps achieve a sharper appearance, with distinctive LED headlamps that are standard on SX and SXL trims. Sitting proudly in between the headlamps is Kia’s signature ‘tiger nose’ grill highlighted with a detailed mesh-like pattern. Beneath it, a reconfigured bumper and air intake add a dash of sportiness. Around back, the rear combination lamps – complete with a new graphic – flank the restyled chrome garnish on the liftgate. The side profile, defined by its reduced front and rear overhangs and deeply swept windshield, becomes more distinctive thanks to newly designed 17-, 18-, and 19-inch wheels, based on trim. And because busy families appreciate a helping hand, a newly added power sliding door button located on the side door handles of EX trims and above is designed to be just that, providing easier access to the Sedona’s well-appointed cabin. Adding more flair to the model line is the SXL trim, which comes equipped with a unique bumper, skid plate, LED headlamps and foglights, 19-inch chrome wheels and distinctive side sill. The Sedona’s award-winning interior adds more refinement for the new model year. Up front, drivers are treated to a more modern center fascia complete with new graphics in the instrument cluster. The floor console between the front seats now features an available wireless charger2 and sunglasses holder to help minimize clutter, while an electronic parking brake is standard on SX and SXL trims. Rear passengers are also sure to enjoy a handful of upgrades designed with them in mind. An available USB charge point has been added to the luggage area and is accessible to those riding in the third row, though it may also come in handy during activities such as outdoor family picnics, camping or tailgating3. During longer road trips, it’s nice to have additional entertainment, especially with little ones in tow. 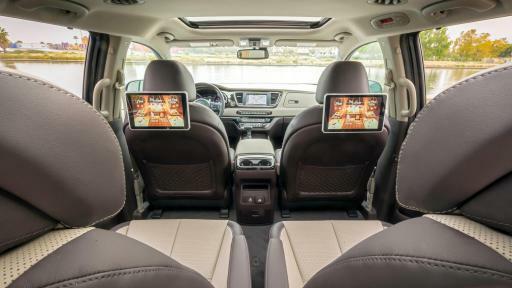 To help keep them occupied, the Sedona’s available Rear Entertainment System adds 10.1-inch dual touchscreens located on the back of the front seats, replacing the outgoing model’s single overhead screen. Upgraded with a dual core CPU, the system now has smartphone-mirroring functionality and internet access via the user’s compatible smartphone4, meaning passengers can play their favorite online videos on the screens. Completing the RSE package are two wireless Bluetooth®5 enabled headphones with enhanced comfort and sound quality. The outgoing Sedona’s Infinity®6 sound system has been swapped out for an available Harman Kardon®7 premium audio system that pumps out music through eight speakers. Other upscale options include available wood grain trim on the front door panels, an LED mood lamp, and the choice between an available single or dual sunroof. The Sedona’s CUV-like proportions continue to provide flexible seating in both seven- and available eight-passenger configurations, the Sedona continues to offer the choice of available second row Slide-N-Stow seats or second row “First Class” reclining lounge seats8 with footrests. The multi-purpose vehicle also keeps its available third row which provides the convenience of a split folding 60/40, in-floor-retractable design. In addition to Forward Collision Warning (FCW)9, Smart Cruise Control with Stop & Go (SCC)9, Rear Cross Traffic Collision Warning9 (RCW), Blind Spot Collision Warning (BCW)9, and Forward Collision-Avoidance Assist (FCA)9, Sedona now offers Driver Attention Warning (DAW)10. FCA is designed to help detect and alert the driver of a collision risk and automatically apply the brakes in certain situations. DAW is designed to detect when driver concentration has waned by monitoring vehicle and driving behavior. If driver fatigue or inattentive driving is detected, the system issues visual and audible warnings, including a coffee cup icon in the instrument cluster, to encourage the driver to take a break. 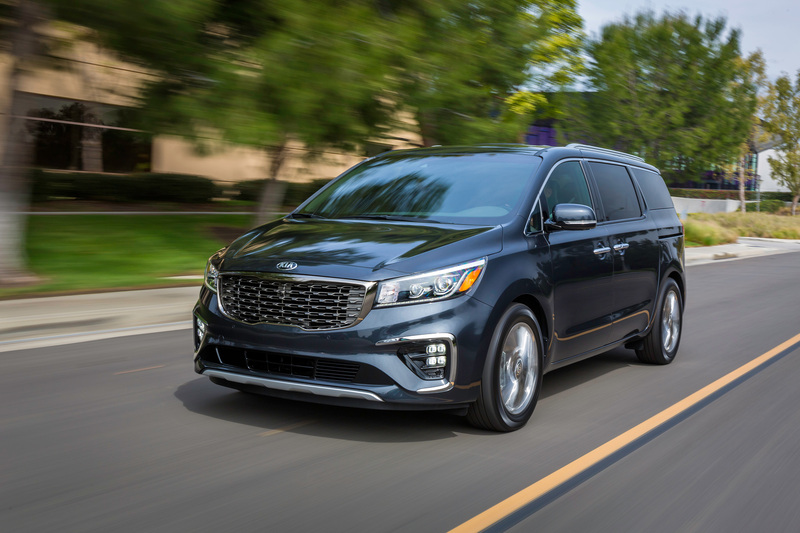 With the new additions, the Sedona is expected to earn the prestigious Top Safety Pick + rating from the Insurance Institute for Highway Safety (IIHS) when equipped with optional Forward Collision Warning for the 2019 model year. The Sedona’s tried and true Gasoline Direct Injection (GDI) 3.3-liter V6 engine is now paired to an 8-speed automatic transmission that replaces the 6-speed automatic in the outgoing model. While power figures remain unchanged with the engine making 276 horsepower and 248 lb.-ft. of torque, the new transmission is designed to create a more seamless driving experience and help improve combined fuel economy figures11. In addition, the Sedona continues to offer a three-step Variable Induction System (VIS) that improves engine "breathing" by automatically adjusting the intake runner lengths to optimize engine torque under different load conditions. 2 Charging system only works with select devices. Refer to the vehicle's Owner's Manual for warnings and instructions. 3 Use of the USB charge point with the engine off will deplete the vehicle’s battery. Do not run the engine in an enclosed area or partially enclosed area without ventilation. 6 Infinity® is a trademark of Harman International Industries, Inc.
7 Harman Kardon is a registered trademark of Harman International Industries, Inc.
8 Reclining seat and/or elevating footrest can reduce the effectiveness of the safety restraint system and may lead to additional injury in an accident. 9 These features are not substitutes for safe driving, and may not detect all objects surrounding vehicle. Always drive safely and use caution. 11 Official EPA fuel economy ratings will be announced closer to the Sedona’s on-sale date.